Transformation Tuesday – Spedtacular Me! 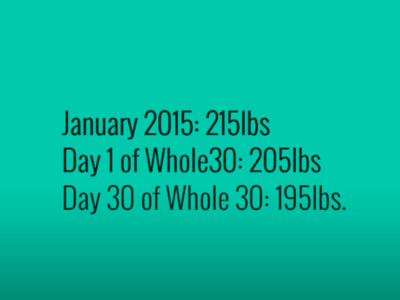 Whole30 Transformation . . Sorry its not Tuesday! So we finished our Whole30 on Monday and boy am I glad! We are taking a week long break, and then moving into the Pretty Much Paleo phase of our lives, I keep saying that Pretty Much Paleo and I keep promising I will write more about it, and I will . . . I promise! But I just love the way it sounds so I like to mention it as often as possible! So did Whole30 change my life in 30 days? Well yes and no, I think that it changed my perspective on things some, not completely and I like that I lost 10 pounds and inches that I haven’t measured but our visible even in these pictures. I guess you could say that it changed my perspective because I am going to become pretty much paleo, but I am going to allow myself more freedom in what I do indulge on. It will not a be a strictly NO anything, life for me ( Ok except Soda, because those 250 empty calories are just never worth it in my mind) I am going to make myself my Paleo Parmesan Chicken ( my favorite recipe from the Whole30) and enjoy a nice cold beer, or 3 tonight and feel no guilt about it. I am going to be more conscious of the food choices I am making while understanding that they are just that, choices! I have the choice to have ice cream after church, but I also have the power to sit in the Ice Cream Shop and drink my water and enjoy good company. I have the choice, no matter how much I want that piece of cake, I don’t have to have it. So this shift has been good, but I still love cake, and whoever says that these foods stop tasting good after the Whole30 days, what did you do? Because cake still tastes like a slice of heaven in my mind, and those Crispy M&M’s that are making a comeback taste like 8th grade! I am very happy with the physical results of the Whole30 and hope to maintain this weight and possibly loose 10 more pounds over the next few months, we will see, I have to get my weight loss in before my dress fitting so we will see how much more happens. But most of all I am proud of my running. I have always hated running, I played volleyball in high school, sprints, shuffles, wall sits, drills I could do, but on distance running days I was miserable. But I could do it. I remember during those years each year for try outs we had to run a mile in under 12 minutes I can remember thinking, “Damn that is slow, I could walk a mile in 12 minutes.” And now I am just happy to be running a mile at all, no matter how long it takes, and let me just tell you when I started running this year it was no where close to in 12 minutes. I started running in January, and at this point it was mostly walking with some minutes of running in there. By the time I got to the Whole30 in March I could run 3 solid minutes without stopping and I felt pretty damn proud of it! Now after the Whole30 I have consistently been running for 10 minutes, then walking for 2, running for 5 and then working my way down from there. Running over 2 miles in 30 minutes. Which still clocks me in at about an average of a 14-15 minute mile but I am running. And I am PROUD! I have friends that are training for their 2nd or 3rd Marathon and some that are training for their first 50k, (who the hell does that), they will post pictures to instragram of their 20 mile runs on the weekends, and I am over here all I ran a mile without stopping!! I don’t even care how it looks to them, pathetic, whatever I am proud! This is an accomplishment for me. I can feel those 20 pounds that are gone, I feel lighter when I run, I feel like I look more like a runner when people see me and it feels good. I am beginning to be one of those people that enjoys running, something I was almost proud not to be before, now I can clear my head as I go over the hills and the turns, or even as I feel the treadmill move under my feet, I am getting better. 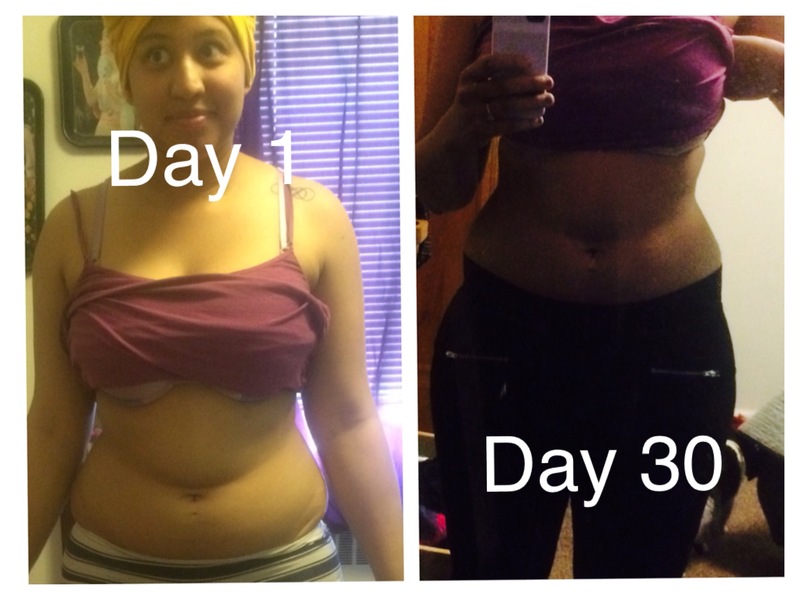 So there it is, my whole30 transformation, did it change my life in 30 days. . . Why don’t you tell me?